When my son, Andrew, first had a real, no doubt about it, reaction to peanuts, I came home from the pediatrician’s office and immediately threw out the peanut butter. So I knew it couldn’t be as simple as throwing out the peanut butter. Indeed it wasn’t. I sent a quick email to a friend who had dealt with peanut allergies in her child for years. She lives in England, so a phone call was out of the question. Then I called a dear friend in town and asked her to give me the scoop on peanut allergies. Nut allergies can become anaphylactic at any point, and we don’t know if it would happen on Andrew’s third time of eating nuts or his thirtieth, so diligence is important. One month later, when we were finally able to be seen by our pediatric allergist, her advice was completely identical to both friends’ advice, so I knew they had not steered me in the wrong direction. So here are “The Rules.” If you’re like I was, thinking that it couldn’t be that hard to avoid nuts, think again. Check out The Rules so that you can really understand what’s going on when a friend tells you her child is allergic to peanuts*. *Our toddler is allergic to peanuts and cashews, so both peanuts and tree nuts must be avoided. Do keep in mind that I am not a doctor, and I should not be giving you medical advice. If your doctor says to avoid something, please avoid it. Nothing with peanuts or tree nuts. Nothing with traces of peanuts or tree nuts. Nothing that may contain peanuts or tree nuts. Nothing processed with peanuts or tree nuts or in a facility with peanuts or tree nuts. Most people think that it’s going overboard to not permit him to eat anything processed with nuts. However, this was a rule laid out by the allergist, and if you have an understanding of plants and processing, you’ll know that multiple foods are processed in the same facility and even on the same lines. So Stouffer’s Animal Crackers, for example, are processed with nuts. This means that a nut product was made on the same factory line. After that, the animal crackers were made. Nuts could be anywhere in the machinery, and a simple wash down would not be sufficient to ensure that no nuts were in the machinery, which is why Stouffer’s puts this information on the label. The very next batch of animal crackers would probably be the ones at greatest risk for cross contamination. Am I getting that batch or am I getting a batch that’s probably safe? Who knows? It’s a gamble. And it’s a gamble that I’m not willing to take, especially with a 2 year old who can’t tell me if his tongue tingles or his throat is swelling. It’s important to remember that this information is voluntary. Companies don’t have to put processing information on their labels. Processing also varies by location, so a food that’s safe for me may not be safe for someone in California. When I wrote a previous post about my mother’s diligence with avoiding nuts, someone asked me why couldn’t she Google the product on her iphone. It’s not that simple. An internet search of ingredients will tell you what the food contains. It will not, however, tell you what the food is processed with, because that varies across regions and even by month. Typical unsafe foods are granola bars, chocolate, and various crackers, snack cakes (all Little Debbies), desserts, and breads. But I’ve also found oatmeal, barbecue sauce, and any number of random things that are also processed with nuts. Companies make changes all the time to their facilities, so it’s important to check every label every time. Again, we have to ask. Is this going overboard? Consider this: Two weeks ago, I picked up a package of hamburger buns that I’d purchased many times before, always checking the label first. But this time, the label said something different: May contain traces of peanuts & tree nuts. Nice. Most families with nut allergies have the same policy when it comes to baked goods: If mama doesn’t bake it, the child doesn’t eat it. Plain and simple. Baked goods are the worst offenders with nut allergies. Most chocolates are processed with nuts, for example. Vanilla and even food coloring, such as Wilton’s Decorator Colors are all processed with nuts. Bakeries themselves pose quite a challenge, since nuts are in so many baked goods. If you’ve ever seen Cake Boss or any other baking show, you can see why cross contamination would be a huge area of concern for any family with nut allergies. Their are too many variables and too many things being made in the same area. Consequently, my mom, my sister, or I bake all of the kids’ birthday cakes. I can make sure that I use a safe cake mix like Betty Crocker or Pillsbury, safe vanilla such as McCormick, safe food coloring like AmeriColor, and safe chocolate like Hershey’s. Hershey’s, by the way, is an amazing company that is dedicated to keeping nut free foods truly free from nuts. I keep a bag in the freezer with cupcakes that I have made, and when we go to a birthday party, we thaw one out and bring it for my son, who is happy to eat it. One day, he’ll be sad that he can’t eat the same food as other kids, but at two, he is oblivious. Another basic rule of nut allergies is that, even though my son is only allergic to peanuts and cashews, he can not eat any other nuts. All nuts are processed together, so shelled walnuts can contain small bits of peanuts or any other nut, for that matter. However, we did find a local pecan farmer selling pecans last fall, so I purchased many pecans from him on the side of the road. He has no other nuts on his farm, just a pecan grove. When our toddler tasted his first pecan, his reaction was a loud mmmmmm. I know many people who disagree with this advice, but again, we follow the recommendations of our allergist, and I’ve read other research that supports it. Are you ready for it? Surprised? I was. Most peanut oil is refined, and in the process of refining it, the peanut proteins are removed, thus removing the allergen. Peanut oil labelled as cold pressed, gourmet, expelled, or aromatic, however, are not safe for those with peanut allergies and should be avoided. These are very expensive and not found at your local fast food joint. We were just happy to learn that we can still fry a turkey at Thanksgiving. This is the stuff that matters to Cajuns! We want our home to be completely safe for our toddler, so that if he were to get into the pantry, his disobedience wouldn’t lead to a medical emergency. This also provides a large measure of safety when we leave the kids with a babysitter. We always give an Epipen demonstration, but it’s comforting to know that she shouldn’t have to use it. Nut allergies are complex and tricky to avoid, but with the right information, you can learn to avoid them and keep your allergic child safe. When our son was first diagnosed, I remember feeling so much anxiety, like nuts were surrounding me everywhere. And they are. Christmas, Easter, Halloween, Thanksgiving, and family gatherings are times of great caution. However, by being cautious, informing ourselves, educating those around us, and asking lots of questions, we can minimize the risks. I refill my son’s Epipen prescription every year, but I also hope that I’ll never have to use it. Mothers of children with nut allergies, is there anything I forgot? Do you follow these same rules or is your comfort level different? For those without allergies, did you realize that nut allergies were this complex? What was surprising to you? Thanks! It was great to learn the rules from you! We avoid the refined peanut oil. Our allergist had spent many years telling patients they could cook with refined peanut oil. Two patients died after cooking with refined peanut oil so they stopped telling patients that peanut oil was okay. Yes every allergist is different but still be very careful. 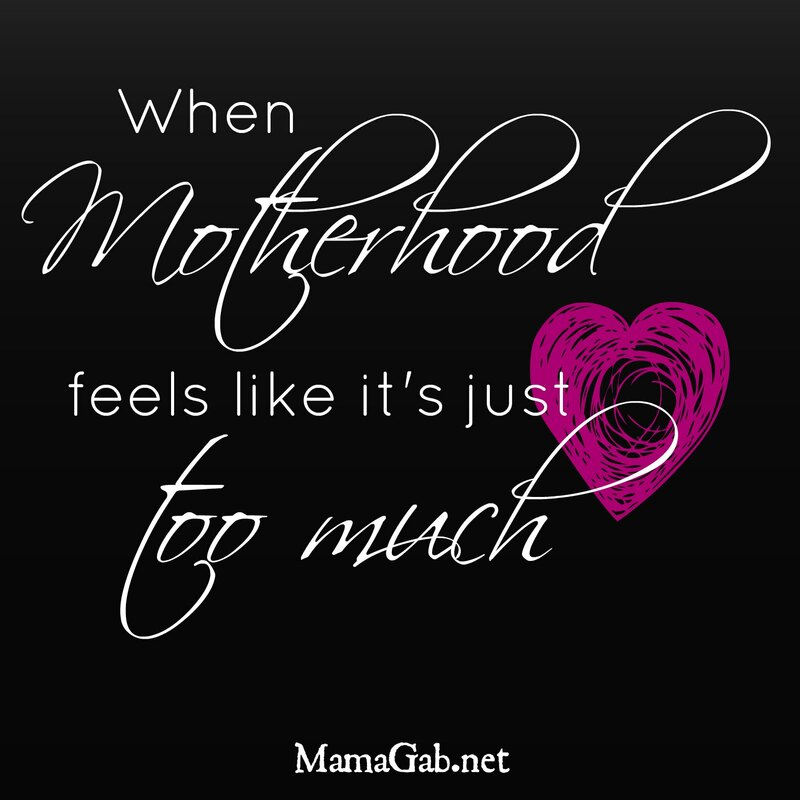 Absolutely, we all have to do what we feel is needed to protect our kiddos! Thank you! I get asked these questions all the time by other moms when their kids have reactions, so it’s nice to have it all in one place now. I loved your info because it is a confirmation of everything I have been doing for 18 years. My daughter is almost 19 years old and ate peanut butter on a graham cracker on her first bday and had a terrible reaction. Needless to say, we have been diligent about reading labels, not buying bakery goods at any bakery etc. She recently went away to college which was quite difficult for me to deal with since I have dreaded it since she was diagnosed with this peanut and later all nut allergy. We needed to make sure the university was aware, train the roommates to use the epipen, talked to the cafeteria, talk to campus medical clinic and the list goes on and on. It is a worry but I can look back and say that role playing with her as a little girl, teaching all her friends what to do if I wasn’t there, and drilling it in her head ALL the rules has been the only way to be certain they are taking control. I remember thinking long ago, someday I won’t be around her 24/7 and she will be solely responsible for managing this allergy. Well, the time came much quicker than I could have ever imagined. My bottom line advice, don’t ease up, don’t bend the rules on this one…Mom’s keep your finger on the pulse on this one! Wow, it’s so great to hear from someone further down the road than we are. I can only hope that we’ll have trained our little guy to respond that well too. Ugh, that really stinks. I’m sorry. We’ve followed our allergist’s advice on that one and have never had any issues. I know that it makes avoiding peanuts even harder for you. I talk about these rules with friends, family, teachers and childcare providers all the time, but have never put them into writing. Thanks for laying it out so clearly! We have received the same advice from our allergist and have remained safe. We haven’t had a problem with refined peanut oil or eating at Chik-fil-a.